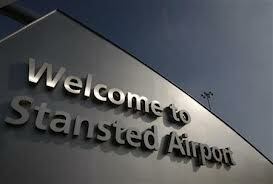 Maidenhead to Stansted Airport - Only £85. Book Now ! London Stansted Airport is an international airport located at Stansted. Stansted is a base for a number of major European low-cost carriers, being the largest base for low-cost airline Ryanair with over 100 destinations served by the airline. In 2013 it was the fourth busiest airport in the United Kingdom after Heathrow, Gatwick and Manchester. Stansted's runway is also used by private companies such as the Harrods Aviation terminal which is opposite the main terminal. We operate a 24-hour, 7 day a week service with fast turnaround at all times, including early morning and peak demand periods. Our service is supported by the latest electronic booking and payment systems.